Outside of their natural environment, Hawaiian ginger plants must be carefully maintained. These hardy and fast growing tropical plants only thrive with the right combination of sunlight, heat, moisture and fertilization. Plant Hawaiian ginger root-deep in tropical potting soil. 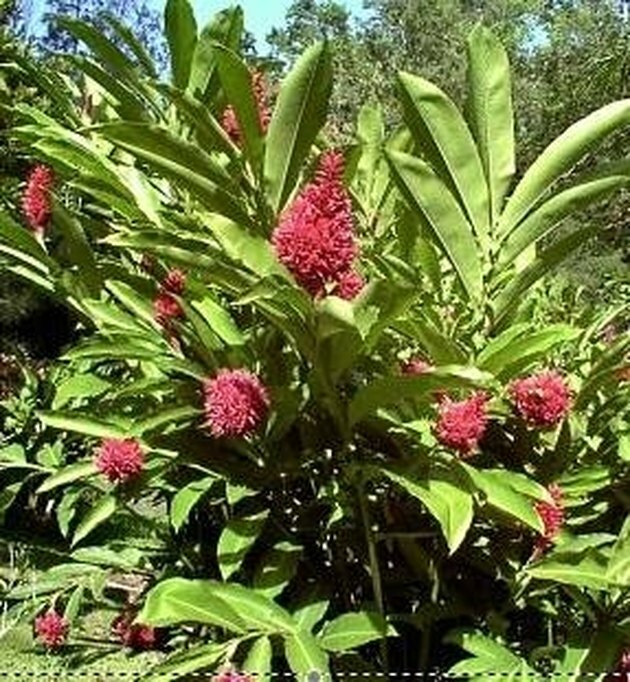 Allow new Hawaiian ginger plants to settle and mature in soil that's kept moist, and with partial sun/shade exposure. Protect Hawaiian ginger plants from temperatures that exceed 85 degrees and/or fall below 65 degrees Fahrenheit. Fertilize mature Hawaiian ginger plants at 90-day intervals and regularly prune faded blooms to encourage new growth. Monitor Hawaiian ginger plants for signs of insect damage and/or disease.